Have you ever watched a movie that made you hug a pillow to your chest the entire viewing time because you can't even handle all the emotions you're feeling? Have you ever watched a movie that made you squeal, cry, and talk to the characters on the screen, hoping your desperate plea for their life will save them? ... I'm not the only one, right?! Well, I just recently watched a WWI drama that has skyrocketed to the top of my all time favorite historical films. 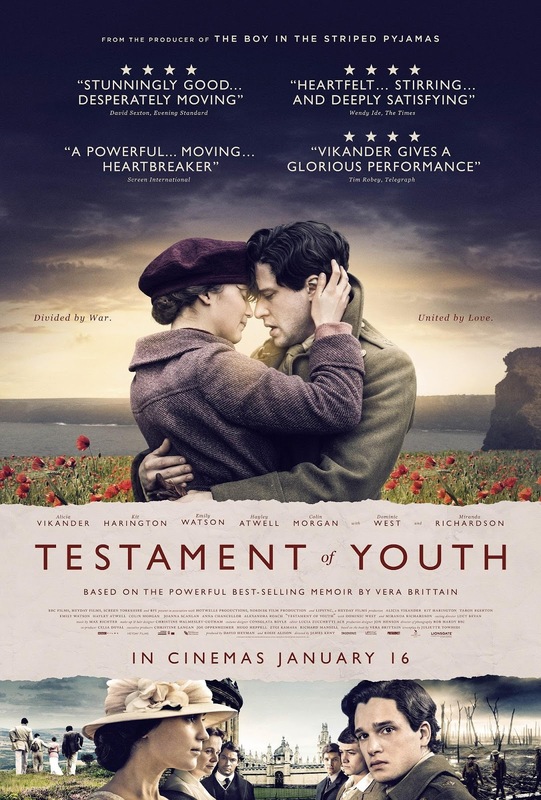 I'm so happy that I came across a post by Naomi Bennet over at Wonderland Creek in which she wrote a pre-gushing blog post about a movie titled, Testament of Youth. Just by the pictures/synopsis of the movie, I immediately wanted to watch it, and felt sure I was going to love it.